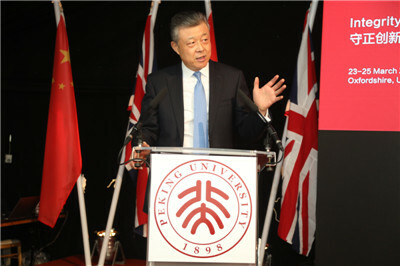 On March 25, Ambassador Liu Xiaoming attended the Overseas Celebration of Peking University 120th Anniversary and Inauguration of Peking University HSBC Business School (PHBS) UK Campus in Oxford. 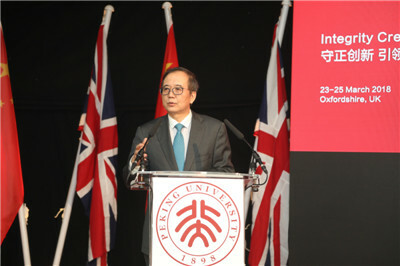 Over 400 people were present at the event, including Professor Lin Jianhua, President of the PKU, Professor Sir Keith Burnett, President and Vice-Chancellor of the University of Sheffield, Professor Hai Wen, Dean of PHBS, Noel Quinn, Managing Director of HSBC Group, Sir David Brewer, Former Lord Mayor of the City of London, Katharine Carruthers OBE, UCL IOE Confucius Institute Director and Pro-Vice-Provost for East Asia, representatives of British institutions of higher education, local governments and enterprises, and alumni and alumnae of the PKU. 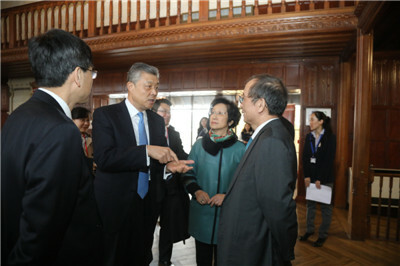 Ambassador Liu delivered a speech entitled New Heights, Grander Sights. 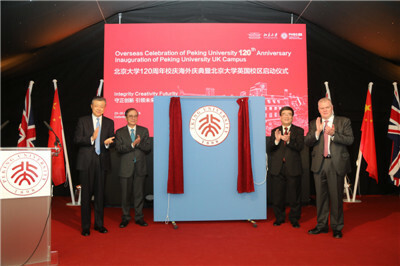 He extended congratulations on the PKU's 120th anniversary and the inauguration of the PHBS UK Campus. 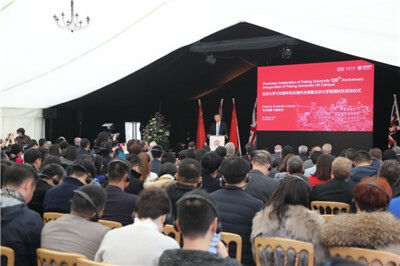 He said that the establishment of the campus is a valuable effort to share the Chinese spirit with the world, a brand new platform to tell the China story, and an important opportunity to build closer educational partnership between China and the UK. The PKU has been a facilitator and leader in China-UK cooperation on education. He encouraged the university to keep achieving new results and scaling new heights to become a top university in the world. He also encouraged the education sectors of China and the UK to keep exploring new territories of cooperation, and work together to enhance cultural and people-to-people exchanges between the two countries, promote the China-UK "Golden Era" and build a more beautiful world. President Lin Jianhua said in his speech that the past 120 years have witnessed the PKU building a bridge of exchanges and mutual learning between China and foreign countries in an open and inclusive spirit. In this latest endeavour, the university will carry forward its glorious tradition, join hands with its British counterparts to live up to the expectations of higher education to play a leading role in the development of our times, and contribute to the harmony and prosperity of human civilization. Then, witnessed by Ambassador Liu, President Lin and Managing Director Quinn co-inaugurated the PHBS UK Campus. The PHBS UK Campus, located in downtown Oxford and built by PHBS, is the PKU's first overseas campus. It is also the first attempt by a Chinese university to seek overseas expansion through sole proprietorship and independent operation and management. The PHBS UK Campus mainly recruits candidates for MSc of finance and management, MEc and MBA from the UK and other European countries, with the second half of the two-year programme conducted in the PKU Shenzhen Campus. The first enrolled will begin their study this Autumn.